Lochgoilhead stunning River Walk is open! 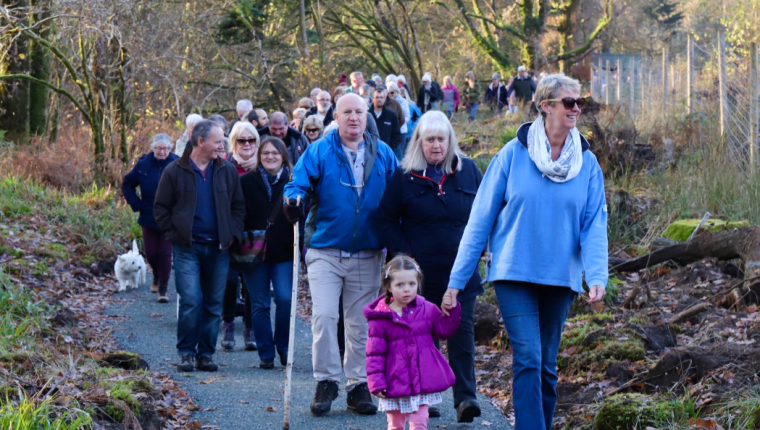 The end of November marked a special date of celebration for the community of Lochgoilhead with the grand opening of their new River Walk. 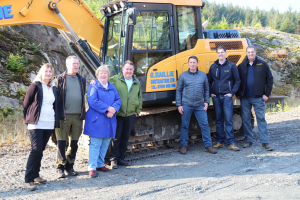 Local volunteers and members of the Lochgoil Community Trust have worked tirelessly over many months come rain or shine securing the funding, receiving planning consent and to closely manage the construction project to ensure the work was finished on time. Despite the atrocious weather conditions the contractors Gordon Baillie Ltd and his team have faced, managed to create a beautiful path for locals and visitors to enjoy. The Trust are extremely grateful to the Loch Lomond and The Trossachs National Park Authority and Forestry Enterprise Scotland for their support, and to Scottish Natural Heritage for funding this project. 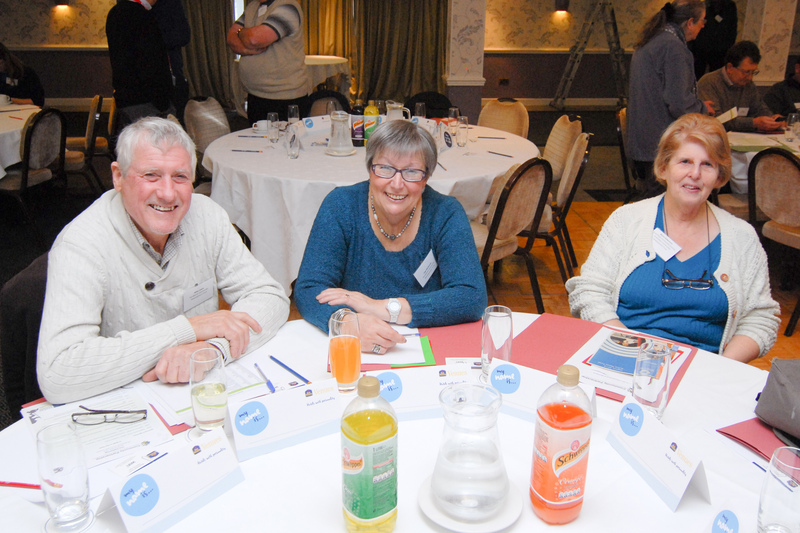 The champagne, sunshine and colourful autumnal tones provided the perfect setting for the grand opening on 17th November attending by more than 80 residents along with their pooches and special guests ranging from new born to ninety three years of age. Guests enjoyed music from Heather MacInnes and a guided tour from Tim King who sits on the Trust. 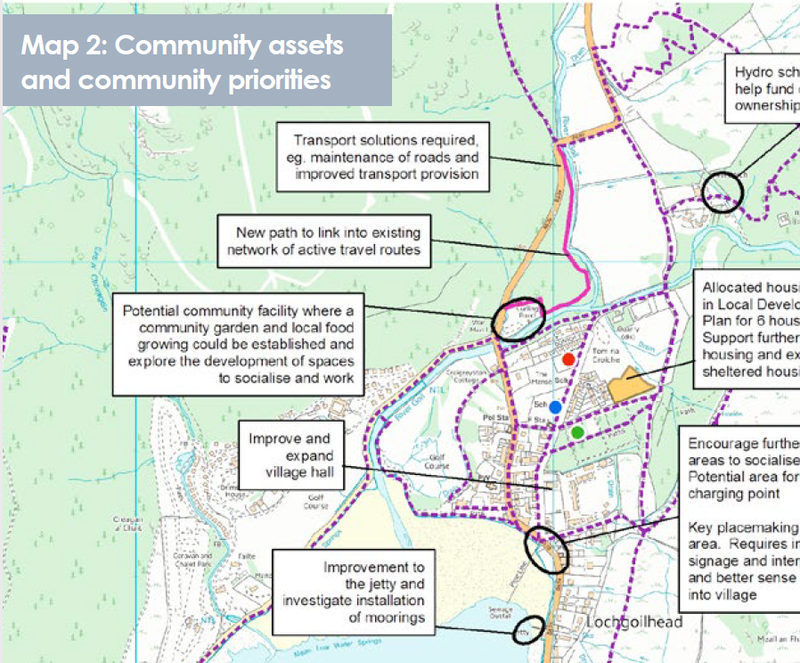 This year saw the launch of the Lochgoil Community Action Plan (2018 – 2023) and The River Walk is one of a number of Community Trust-led projects and priorities. Since the opening it has been wonderful to see so many people using the path. The River walk is one of a number of Community Trust-Led projects, informed by our Community Action Plan. 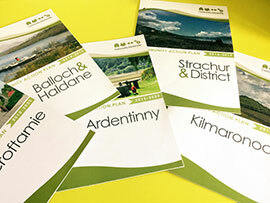 Other plans include a new Park and Gardens on the old Rifle Club site and further extensions to our path network. 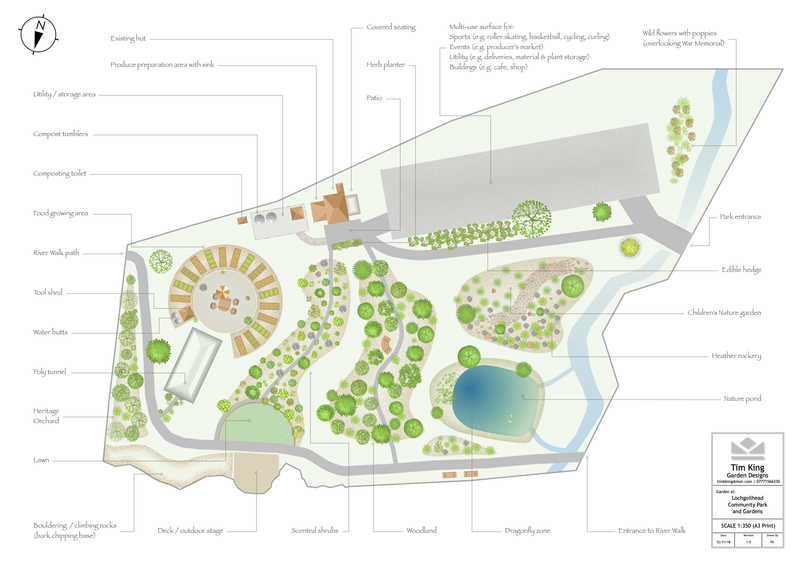 Plans for the new Park and Gardens are available to view at the site in the Trusts new display panels. 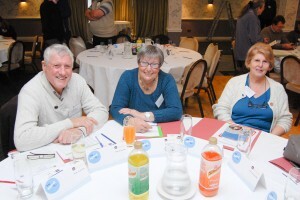 Environmentalists inspire at CP Gathering!